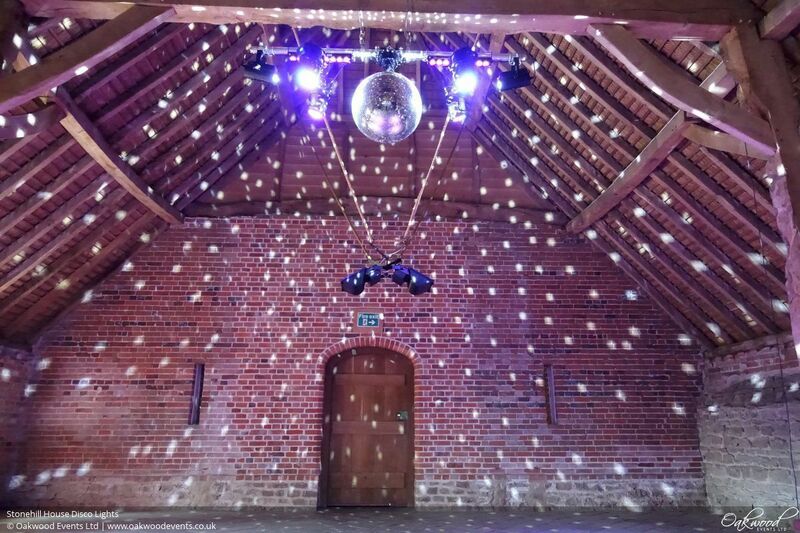 Shown here at the wonderful Stonehill House, our beam-mounted disco lights come with a large mirror ball, UV lights and pre-programmed intelligent moving heads that send beams of colour moving around the floor and walls. 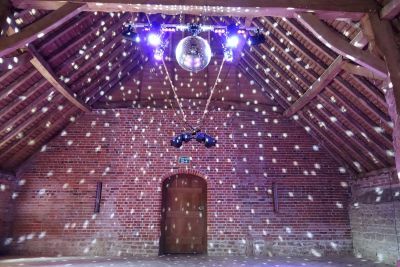 The lights are discreetly mounted on a beam above the dance floor and are controlled by an easy to use touch screen controller so that each type of effect can be switched on or off as needed. 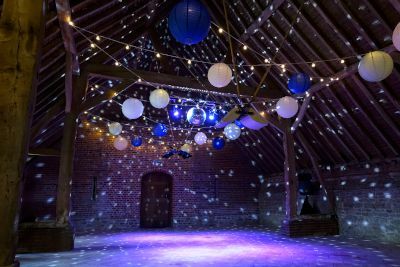 They can easily be combined with other types of lighting such as festoon lights, fairy lights and paper lanterns for some decorative lighting during the day that switches to party time at the touch of a button! 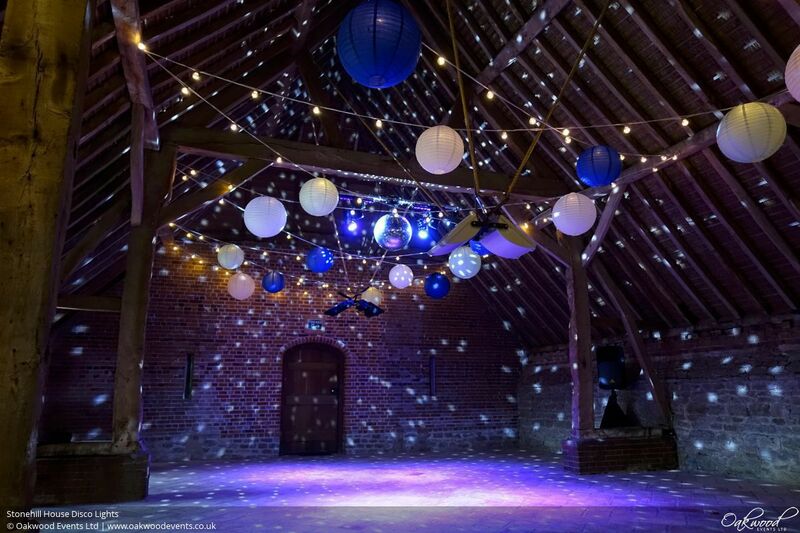 You can contact us here if you'd like to talk about disco lighting or any of our other services. Our main Stonehill House lighting page is here. I just wanted to thank you for your services this week, the install on Thursday which went so smoothly, Steve was really friendly & explained everything to us & the beautiful lights themselves of course, they looked great & we were so so pleased with them.